The Hooner Canicross Package consists of the following items and by purchasing as a package you will get all these amazing products at a very heavily discounted price. Hooner Cani Cross Belt is ultra light weight but still very comfy and padded . Fitted with high quality hardware, Bungee Attachment points, removable leg straps and equipment rings. A single bungee line perfect for bikejor, scooter, skijor and canicross. It is made from the strongest tubular tape available with an integrated marine grade bungee and a low level control/ grab handle and Solid bass trigger hook. 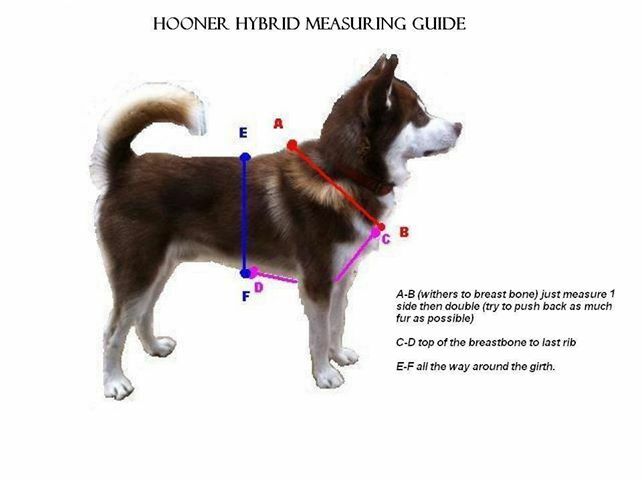 The Hooner hybrid PRO is a very well proven harness designed by ourselves, it is perfect for all activities including cani cross and all Joring sports. Manufactured with high quality heavy weight webbing snap tested at 2.5 ton. The hybrid is fitted with Water proof rip stop padded shoulder pads, a fully adjustable Girth, swivel attachment to prevent crabbing while running, made to measure to ensure the ultimate fit. All the products in this starter kit are race legal for IFSS and ECF events.